Cinderella’s Sister tells the story of Eun Jo whose mother had several affairs with different men and it was those unfortunate ties that forced them to live a life like runaway thieves every time her mother’s past caught up with them. Until one day, her mother met a young “princess” whose father was a rich widower. The daughter, Hyo Sun, grew up without a mom and so she desperately seeks a mother’s love. And Eun-jo’s mom, being as devious as she needs to be, she used Hyo Sun’s lack of motherly love to entice her rich father into marrying her. Eun-jo’s mom succeeded. Eventually, Eun Jo’s mom became the new mistress of the rich man’s household and as for Eun Jo, a new chapter of her life story has began as she accepts the role of the father’s new daughter and “Cinderella’s” new sister. At first I liked Eun Jo’s toughness and I get her. I understand her reason for building a wall around herself and never allowed anyone to get through her —because amidst all the toughness was actually a vulnerable Eun Jo who fears being abandoned. And for me, that was enough to justify her behavior. But there’s only so much I can tolerate and as much as I want to root for her all the way, I just can’t. The very thing that I liked most about her made me tired in the end. I guess, her toughness was too much to bear after all and it was soooo frustrating that it took her a long time to realize that there are actually people who really cares about her. Sigh. Overall, it wasn’t a bad drama but I’m not crazy about it either. It had a promising start but it failed to deliver in the end. 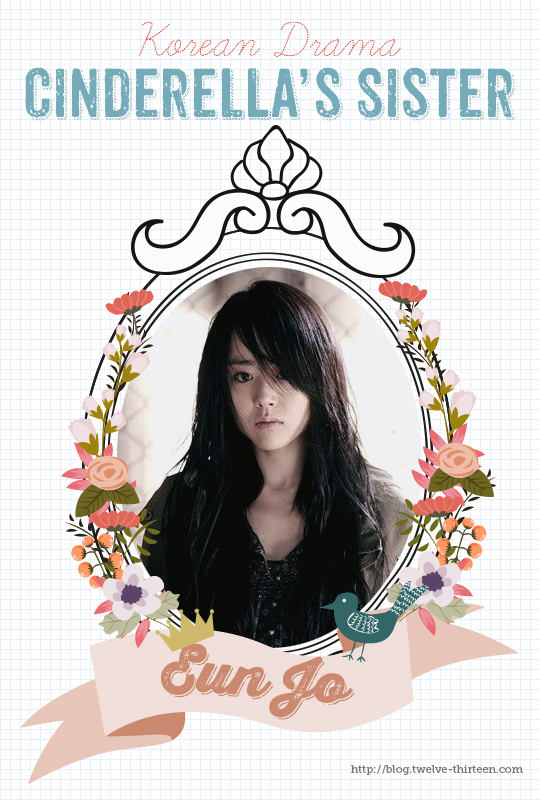 I loved Moon Geun Young stellar acting. There were some scenes I teared up too because she can project her emotions onscreen so well I can feel the heaviness of her tears offscreen. Lol. The cast was okay, acting-wise. 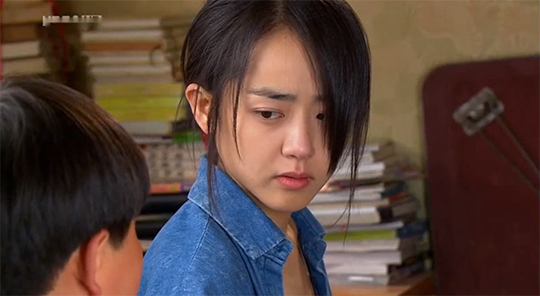 The chemistry between Moon Geun Young and Chun Jun Myung wasn’t that great. Their onscreen kiss was weak. Heehee. Loved the setting a lot. Made me want to live in one of those traditional Korean homes. Also, it was nice that I got to see some Korean traditions and customs in the drama. I like learning new things so it was nice the drama gave me that. But in the end, I’m just glad to get this series off my plate because I don’t know if I can still take Hyo Sun’s bucket of tears anymore. Her tears really overwhelmed me… in a very annoying way. Lol.